It is definitely nice to have neck tattoos because they really show up whatever you’re wearing. It has been very popular to both men and women, especially these tattoo designs that are etched at the back of the neck. One reason why is because these can be easily covered if you do not want other people (yeah, there are a lot of them) to judge you just because you have tats, as it can be immediately covered by your clothes or hair. 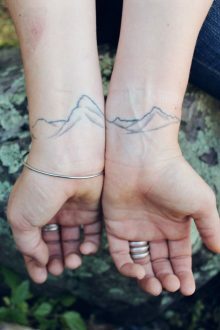 However, if you are carefree and you do not care what other people thinks, placing a tattoo on the side or front of your neck is very much ideal. If you have something to say, or you want other people to know where you are really coming from, a tattoo on your neck area is definitely the perfect place to be inked. Thoroughly think about it. Once you have decided that you really want to have a neck tattoo, here are 20 Small Neck Tattoos Ideas And Designs.Enjoy and get inspired!! !